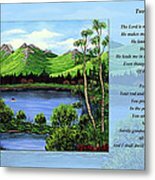 Thank you for featuring this artwork in the group Bible Verses on Artwork! 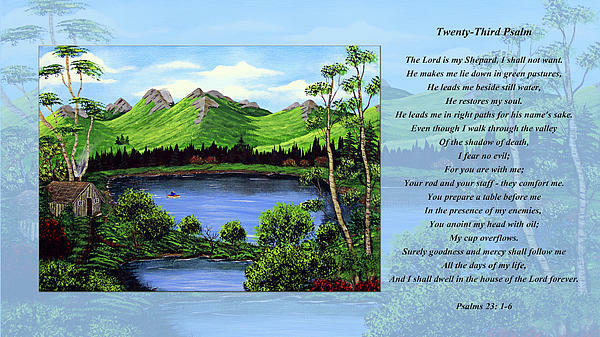 Twin Ponds and 23 Psalm on Blue Horizontal by Barbara Griffin. 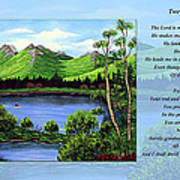 Twenty Third Psalm, the Lord is my Shepard, I shall not want, with the original painting Twin Ponds. A fisherman is enjoying peace and relaxation in his hideaway mountain retreat.